There’s a new player in town and they go by the name of Volcano. Apt really, since they’re based in Hawaii and their first box-mod, the LAVABOX DNA200, will kick out clouds of such epic proportions the closest thing you could probably compare it to is, well, a volcanic eruption. The company is the first of its kind in Hawaii, joining the likes of Aspire, another US brand, in the burgeoning vape scene. 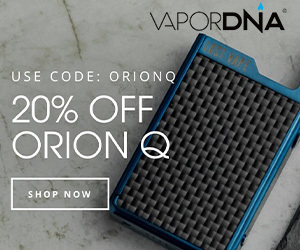 Sharing more than a passing resemblance to Vapor Shark’s range of excellent box mods, the Volcano LAVABOX DNA200 uses the latest DNA200 chipset and is capable of pumping out 200W — a frankly insane number, considering most people are currently using less than 100W on their daily drivers. Measuring in at 95mm x 30mm x 46.7mm and powered by an EVOLV DNA 200 chipset, the LAVABOX features 1-200 watts adjustable power output, 55 amp peak current / 50 amp continuous / .5 volt minimum output / 9 volt maximum output, temperature protection 200°F – 600°F, spring-loaded 510 connection, and an 1A balance charger. 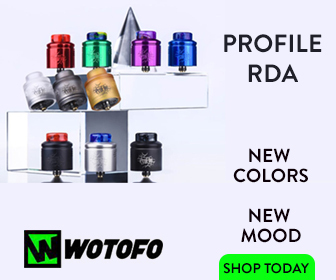 “It has been a long time in the works and we wanted to make sure that our first box mod was not just an average mod. We wanted to work with a new chip from the start and give it a little extra design flair than some other box mods our industry has seen recently. We are excited to provide the industry with this device and hope our customers are as thrilled as we are,” stated Cory Smith, CEO & Co-Founder of VOLCANO. The Volcana LAVABOX DNA200 will debut for the first time at the world’s largest trade industry electronic cigarette convention (ECC) in Pamona , California August 13-17, 2015 at the VOLCANO eCigs booth 854 at Hall 6. A guide price of $169 has been mooted, but an official price will be confirmed later on this month. The LAVABOX 200W is now officially available in the UK. We knew it was coming this month, but it sure as hell has taken its time. The LAVABOX 200W is available from Greyhaze for £119 — but this is a limited price and it will eventually go up to something a little higher in the not too distant future.